Read the full story (with video) by WOSU Public Media’s Elizabeth Miller. NOAA’s Great Lakes Environmental Research Laboratory has posted some stunning aerial photos, taken Sept. 20, of a harmful algal bloom in western Lake Erie. You can see more, too, from Sept. 14 (the fifth one down, among many, may smack your gob) and Aug. 14. 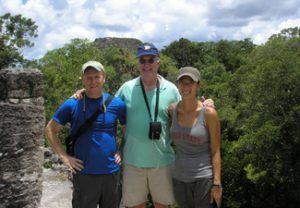 When residents take charge of their rainforests, fewer trees get the ax, says a story by Ohio State’s University Communications office, detailing a study done in Guatemala by CFAES researchers. 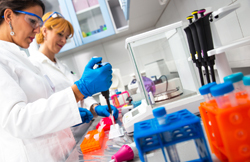 Students at Ohio State and at Central State, a historically black university in Wilberforce, Ohio, will soon benefit from a $2.8 million grant designed to develop leaders for the bioeconomy industry. CFAES is overseeing the grant. Cool demo Wednesday afternoon in Farm Science Review’s Gwynne Conservation Area: electrofishing, a nonlethal way to sample fish populations, by three helpfully informative Ohio Division of Wildlife fisheries biologists. Rock bass, longear sunfish, smallmouth bass, bluntnose minnows and two darter species, among others, were shocked with a DC current, briefly stunned, netted and then safely released in the Gwynne’s stretch of Deer Creek. The darters indicated good water quality and habitat. Farm Science Review continues through 4 p.m. today. The first annual Harvest Ride takes a 40-mile, intermediate-level bicycle tour of sustainable farms and food businesses, starting in Lancaster in Fairfield County. (Also longer and shorter options.) It’s from 10 a.m. to 1 p.m. this Sunday, Sept. 24. Registration is $35 for members of the Ohio Ecological Food and Farm Association and $50 for nonmembers. Get registration and other details. Co-sponsored by Columbus Outdoor Pursuits, the event is part of the Ohio Sustainable Farm Tour and Workshop Series. CFAES’s Sustainable Agriculture Team is a co-presenter of the series. Eastern Ohio’s Blackstone Farm hosts the Cheesemaking and Homestead Tour from 11 a.m. to 3 p.m. Saturday, Sept. 23, at 49800 Township Road 58 in Lewisville. Featured will be learning stations and Master Gardener Volunteers teaching about cheesemaking; composting; agritourism; rendering lard; canning butter and milk; making soap, lye, hominy and sourdough starter; and more. Includes lunch. Get complete details. Register by emailing davidblackstone73@gmail.com. 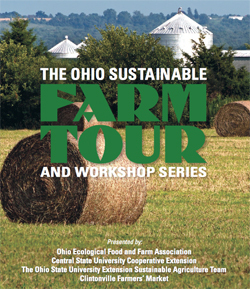 Part of the Ohio Sustainable Farm Tour and Workshop Series. CFAES’s Sustainable Agriculture Team is a co-presenter of the series. 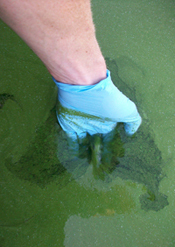 Toledo Blade staff writer Tom Henry, interviewing CFAES scientists Jay Martin and Jiyoung Lee, among others, reported on last Thursday’s “State of the Science” algal bloom conference in Toledo. Reporter Ben Cathey covered the conference, too, and interviewed Jay Martin, for Toledo’s WTVG-TV (with video). 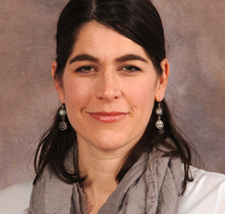 CFAES’s Robyn Wilson (pictured) is part of a new $750,000 project to determine whether conservation incentives provided by the Great Lakes Restoration Initiative are meeting one of their goals: to get more farmers to adopt measures that preserve water quality. Read the story.